however a little off topic. that Olds in your siggy link. very nice and i dig it. @alpscruiser I prefer the Nix 909 versions, like the one below. 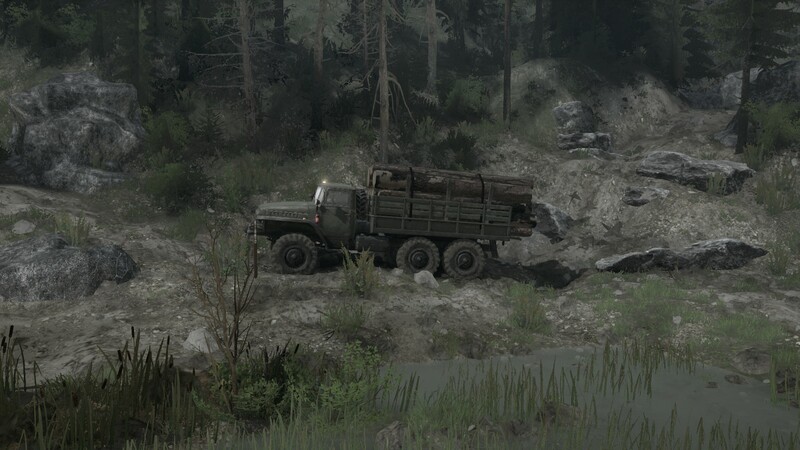 But I agree these trucks fit very nicely with AW. @8up-local Nice, looking forward to it. 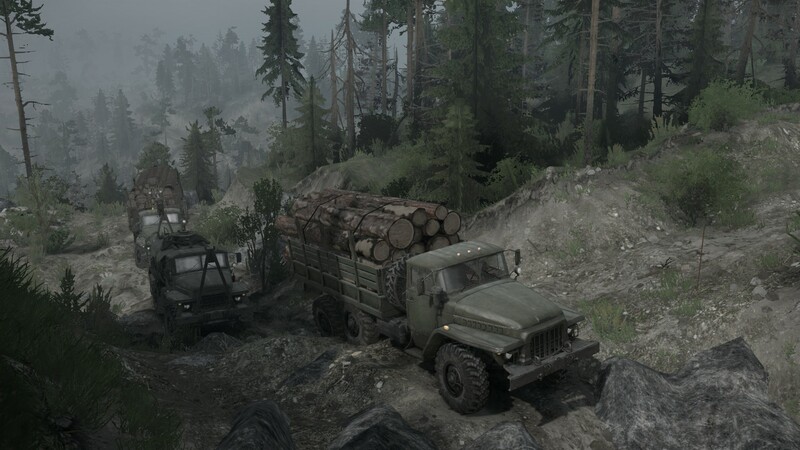 I believe in my screenshot I was carrying an incomplete load or just some extra logs to fill another truck. I don't quite remember. I don't drive around unpacked just to make it easier. 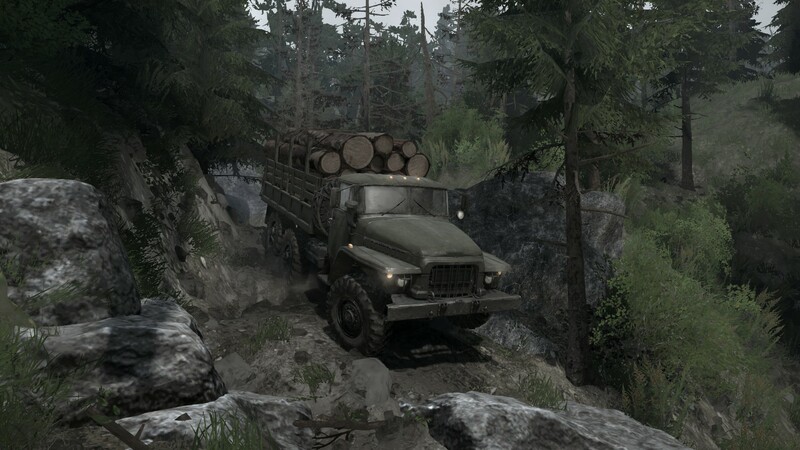 If I drive unpacked it's because I'm carrying extra logs as a double or triple load or just a few logs to complete another load which I then pack. BTW, here's some old school for ya from today. Nix Trucks are also very detailed and very high quality. I also drove them. But i´m more the original guy. 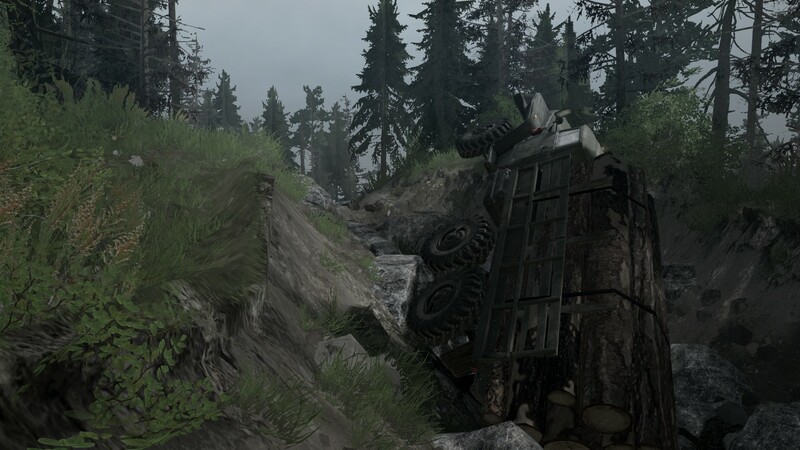 I don´t like lifted trucks or Rockcrawler. 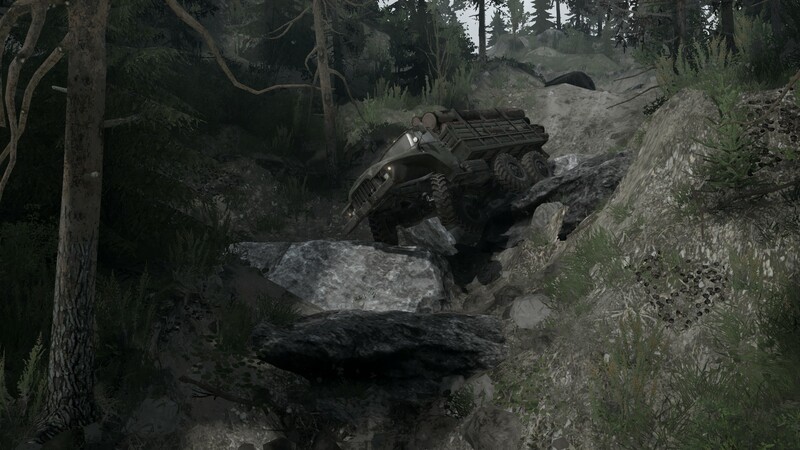 I play Mudrunner as a logging game not for rock crawling or mudding in redneck style. I really like the K10 from @Forces because it has very nice ideas in it, so much good Addons and made with love to detail. well after using both their stuff over the years, i can say they both do awesome work. however even if a person is considered the best, i always feel they can do better. in this i mean they can always learn and advance their skills more. which is always a good thing. @alpscruiser What do you think of the AW K5? That one is not lifted and it has what I believe are the original wheels. I like that one too, though Nix's trucks obviously have more visual detail, especially the interior. I can only wish the MR dev team put that much effort into interiors. 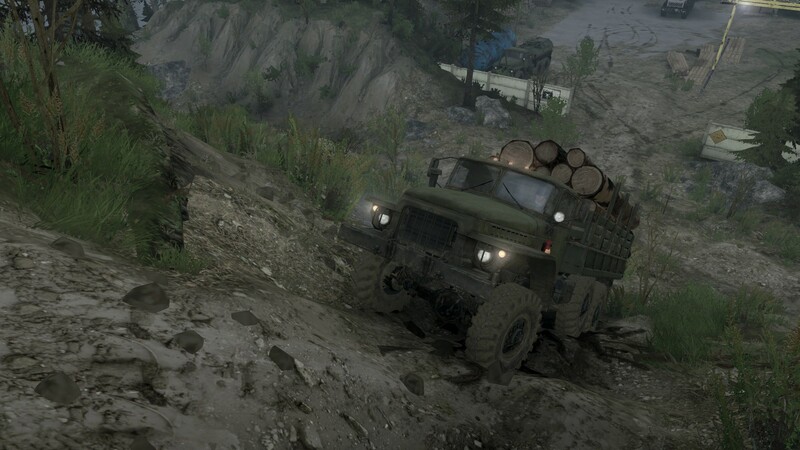 The only thing I don't like about Nix's trucks, and this is a common issue with many modders, is that the trucks are unrealistically overpowered (and some other specs may be unrealistic like mass), but that's an easy fix on my side. I really like the AW K5, i also like the F150 from the Looks but the Ford has a big issue - missing driveshaft rolleyes. 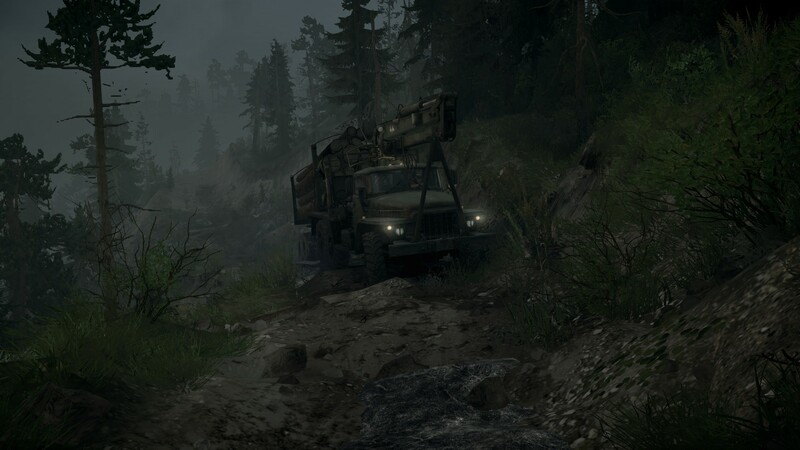 The Original Trucks are quite high quality and the textures are eye candy. But as you mentioned the biggest issue with the original ones is the interior. But be ready to be superfrustrated because of camera! 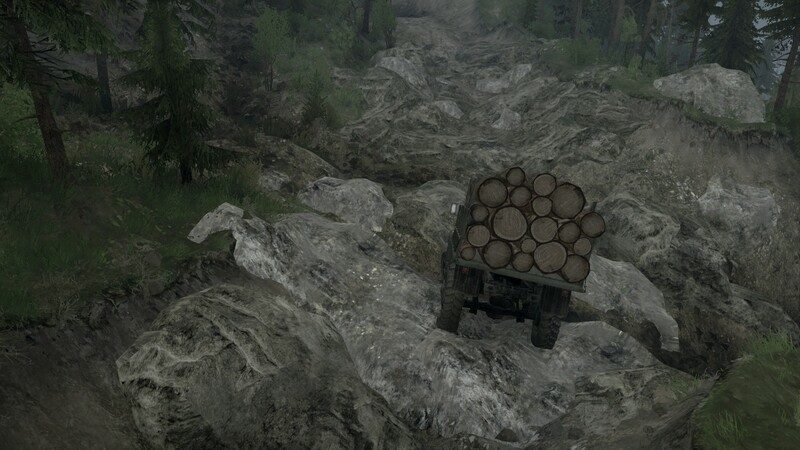 Putting Spun's new Log Jammer to good use. 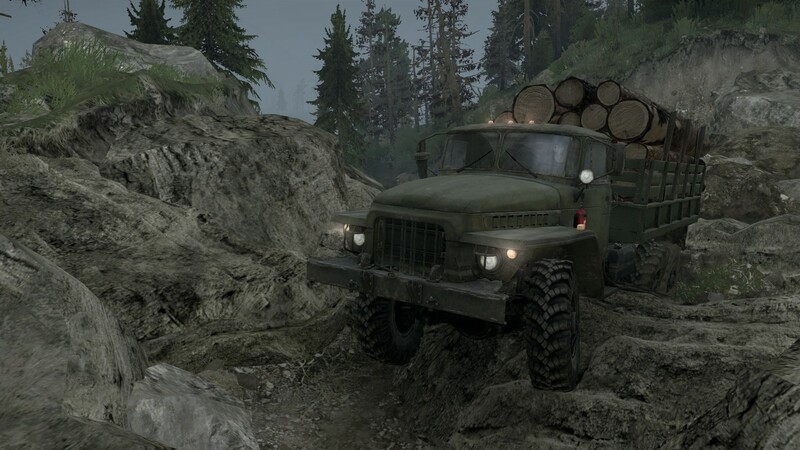 Now it's my favorite 2-axle logging truck (we have relatively few of those in this game). 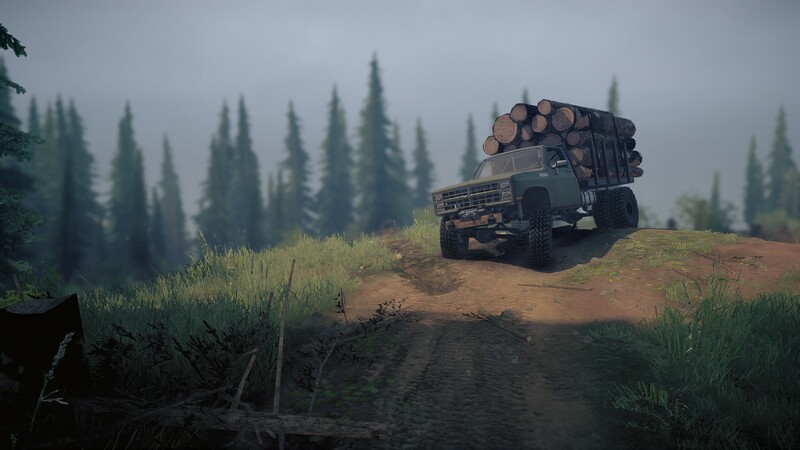 Now if you pay attention to the screenshots and you're familiar with this model, you'll notice I've made some tweaks to it (lowered various specs for more realism, and put in a slightly wider log bed from another mod). 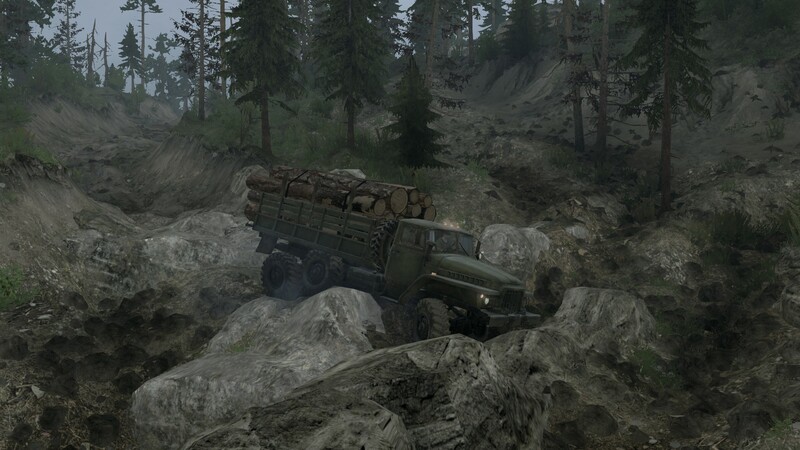 And now using a bigger truck on some of the same turns. Tipping hazard! Note the nice interior. 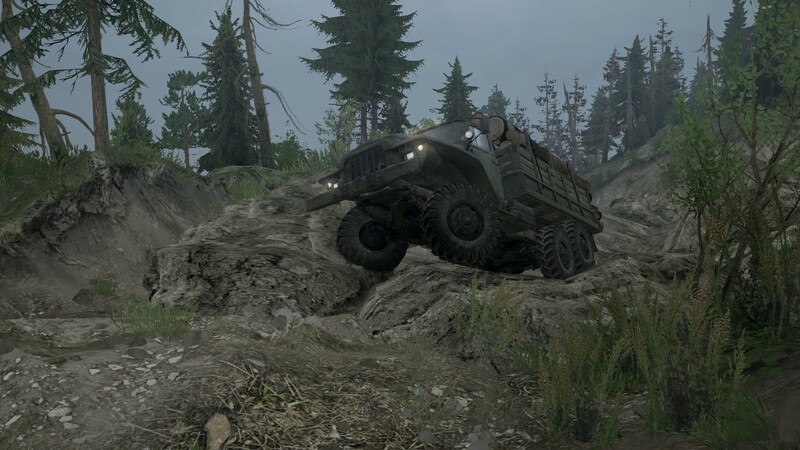 I think this mod sets the bar (for all mods and the base game trucks). I guess i spend the most time on Green Plains when i played ST. I still have the map in may head. I could drive there without uncloak a single whatchpoint. ok, so a few more than a couple quick pics lol. anyway, made the first section without losing it. tough little climb, had to 1+ up the first bit and then quick shift to gear 1 to finish it up. i seriously did not think i was going to make it. that little notch just to the front of my left tire was the key. was not long before it got interesting. nasty bit here. mind your line. i hear layin' frame is the cool thing to do? finally getting out of it and on to a smooth bit, but it does not last long. 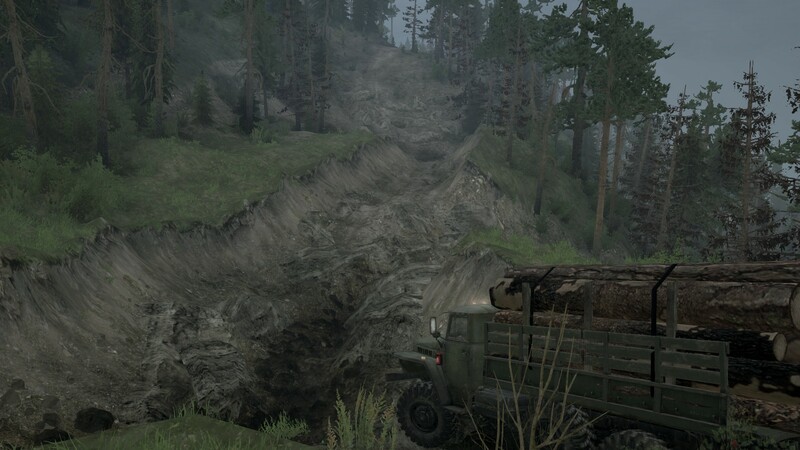 after that tricky little section, hmmmm.... looks like up maybe?